Dome Cameras are great for not giving away which way the camera is pointed. They are made of plastic or metal with a poly carbonate dome.They are usually easy to install with 2 screws. Most domes are used in retail or restaurants with drop ceilings. Most domes are made to be mounted on a ceiling. They can be mounted on a wall if they have a tri-axis mount. Some domes also have infra-red night vision. For areas that a camera could be vandalized or manipulated, there are vandal-proof dome cameras that can withstand a blow from a 10lb sledgehammer. Due to the small size of dome cameras, they cannot have a long lens to view far distances. 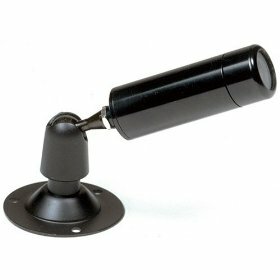 Dummy dome cameras are also available. Sometimes called pro or Box style cameras, these cameras usually have the best picture when compared to other types of cameras. Some have double layer circuit boards and OSD controls to give you a better picture. They don’t have standard lenses like most other cameras. There are many types of lenses that can be matched to the pro camera to give you a wide, tight or long range viewing angle. These cameras are not weatherproof, so if you want to have them outdoors they have to be mounted in heater/blower housings. This helps keep the moisture and cold out. They cannot see in total darkness. You will need an infra-red illuminator to use these cameras at night. Of all cameras, these can be more difficult to install because of the lenses and the OSD setup. They are available in 12Volt or 24Volt for long cable runs. Bullet Cameras are small “lipstick” size cameras that are weatherproof and have a standard lens that will give you a 75-80º wide view. Some have a vari-focal lens that can be adjusted to give you a wide or tight view. They do not have Infra-red night vision, so you will need lighting or and infra-red illuminator to see in darkness. These types of cameras are usually used in warehouses, stores, and manufacturing facilities. B/W Hi-resolution, Standard color, Hi-resolution color, vari-focal. These cameras have a small pinhole lens that can be built into about everything from a smoke detector to a book to a clock. Some covert cameras are weatherproof. They are available in B/W, Color and Wireless Color. Note: With a wireless covert camera, you still have to plug the camera in for power. Batteries will only last several hours. A Pan-Tilt-Zoom camera can zoom in and out on an object up to 36X optically and 15X digitally. It can rotate 360º to view any area. PTZs are usually large and are best suited for commercial and industrial applications. Although we do have smaller PTZ cameras that can be mounted indoors in retail environments. PTZ’s generally cost 5-10X the cost of a normal camera. 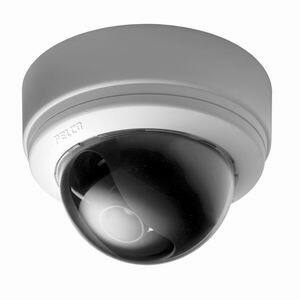 PTZ cameras can though perform various functions not possible with a fixed camera. 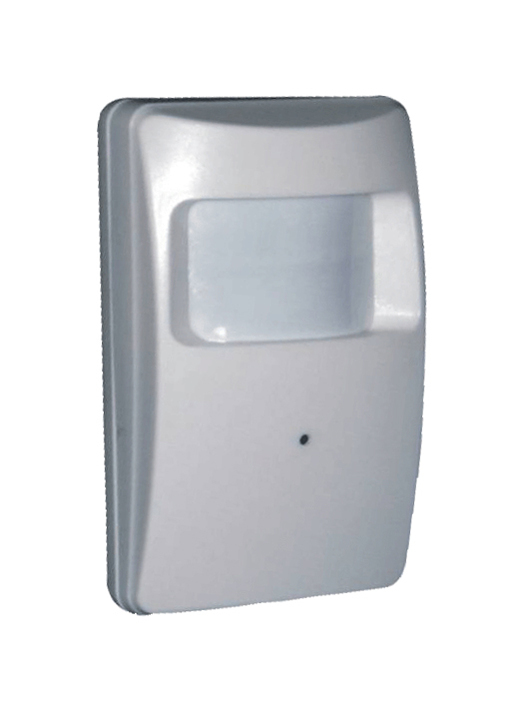 They have intelligence and can be programmed to perform pre-defined tours and upon the event of an alarm the camera can swing to a specified location before continuing its tour. Some cameras can even detect and follow an object or person. An operator can override and take control of the camera at any time. Some can even have Infrared night vision. Wireless cameras have come a long way over the years and are great for some situations but they have many down falls. 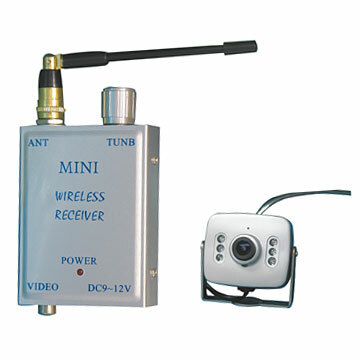 Wireless cameras transmit the video signal wirelessly to a receiver usually up to 300 feet away. Some receiver/transmitter systems will transmit the signal thousands of feet, but are costly. Most cameras transmit the signal at 900Mhz, 2.4Ghz or 5.8Ghz. Each camera must be powered near its mounting location. Some small cameras can be powered for several hours with a battery. Standard wireless cameras will not have as good of a picture as a hardwired camera due to interference from wireless routers, cordless phones, microwaves and others such electrical devices. Also, the CMOS image chip that most wireless cameras have does not provide the clarity that a CCD camera has. We have wireless pinhole cameras, wireless covert cameras and weatherproof infrared night vision cameras available.